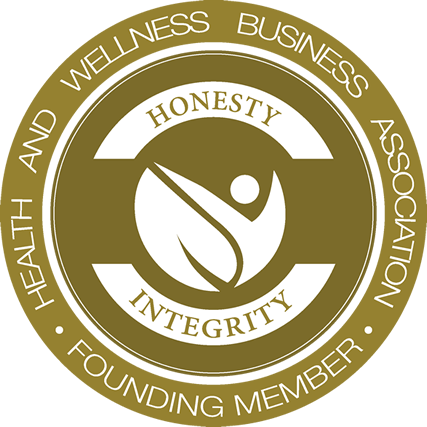 When we talk about eating naked, we’re usually talking about the basics: eating real, whole food in a form that’s as close to its origin as possible, and prepared in a way that either preserves or enhances its nutritional value. Now, I don’t like to discriminate, but there are some naked foods that are truly super foods, and bone broth is at the top of my list. Bone broth – or “stock” as it’s sometimes called – is a cornerstone of traditional diets. We’ve been consuming broth in some form since Paleolithic times. And for good reason. It is powerfully healing, nutrient dense, and an efficient use of what has always been the most prized and expensive part of the human diet: animal foods. 1) It’s an excellent source of minerals – both macro minerals and trace minerals. The modern diet is woefully lacking in these vitally important nutrients, and bone broth is a dense source of them. 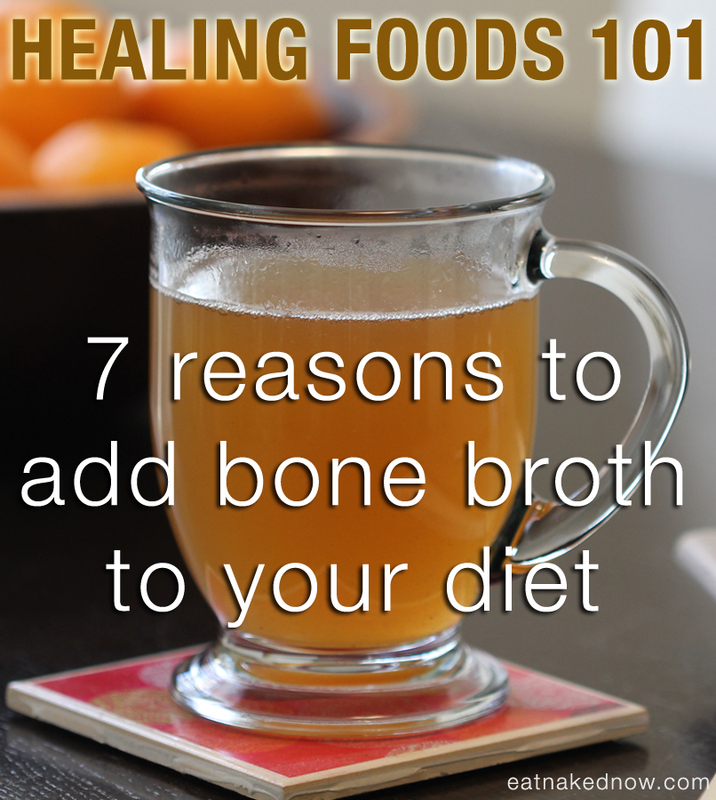 If you don’t tolerate dairy, bone broth is an excellent source of calcium and magnesium. 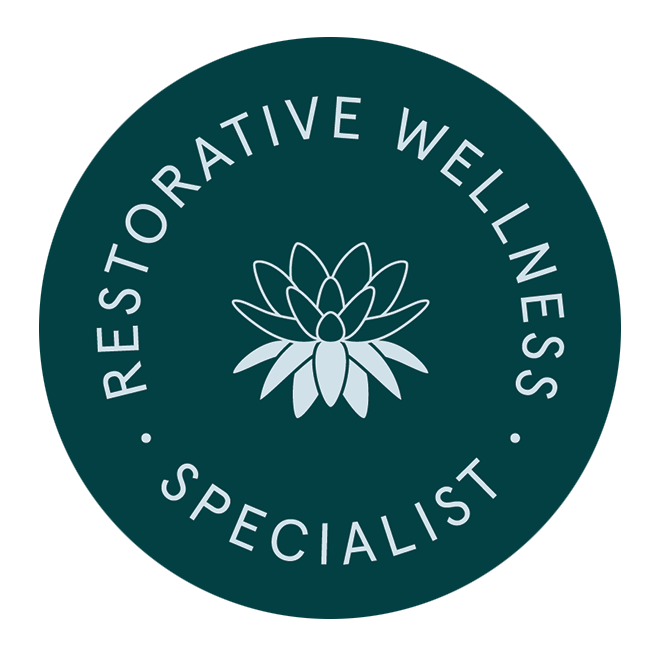 2) It’s therapeutic for joints because it’s an excellent source of glucosamine and chondroitin, two of the more commonly self-prescribed supplements I see clients taking in my practice. 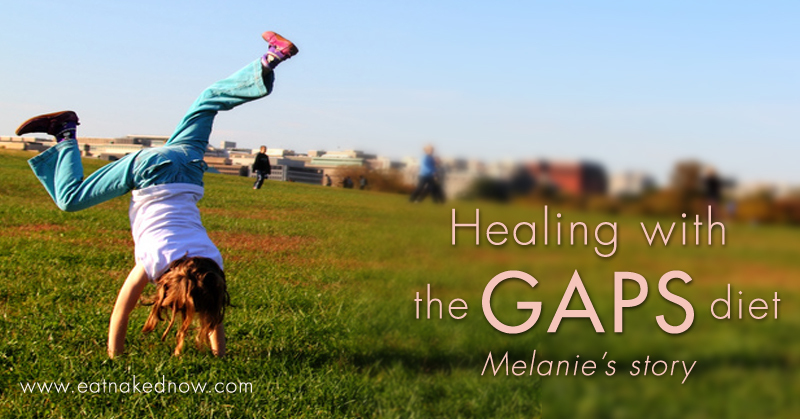 Why pop another pill when you can get greater benefit from a real food? 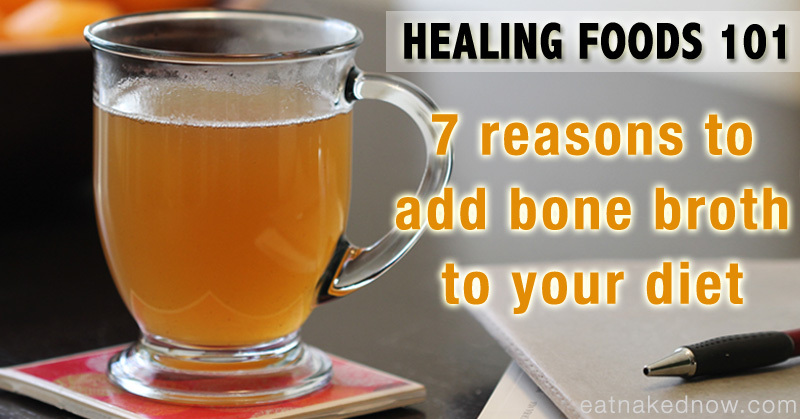 4) Bone broth is powerfully healing for the digestive system. This is in part due to its high content of gelatin, which helps to ease the digestion of cooked foods. Also, the nutrients in broth help to heal the lining of the digestive tract – one of the many reasons why it’s a foundational food in the increasingly popular therapeutic GAPS diet (Gut And Psychology Syndrome – we’ll be talking more about that in a later post). 6) …it’s extremely economical. 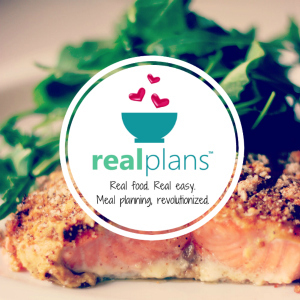 I get tired of the “I can’t afford to eat healthy foods” argument against eating real food. Bone broth is an excellent example of how affordable it can be. As we just saw, it reduces your need for protein, which means you don’t need to eat as much meat. For another, it makes full use of the meat you do consume. All those bones and joints and bits and pieces we normally toss in the garbage are transformed into this nutrient-dense wonder. If you don’t have bones from your own meals to use, your butcher will sell them to you for next to nothing, since these are the parts they normally throw out. I recently heard one bone broth aficionado share that she can make a gallon of fish bone broth for $1.50. Beat that. 7) It makes food taste really, really good. Any soup, stew, or sauce made from a base of homemade broth is a very different thing from that made from broth out of a can, box, or (gasp!) from a bouillon cube diluted in water – no matter how “natural” or “organic” the package professes its contents to be. So you see, there’s a reason we reach for the chicken noodle soup when we’re under the weather. Here is a very simple formula for a basic bone broth. 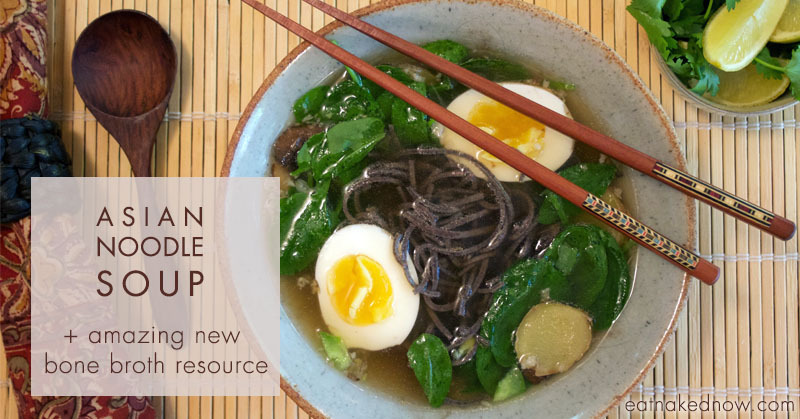 We also have several recipes for bone broths in the Naked Foods Cookbook. Broth takes time to make, but you need to be actively involved only for a very minimal amount of it. Several pounds of bones – these can be from scraps in your kitchen, the carcass from one or two roast chickens, or specially bought from your local butcher. Make sure you include the joints and ligaments – these are important. Veggie scraps (use onion peels and ends, garlic peels and ends, carrots, celery, peppers, etc – you can use just about anything that isn’t bitter). We like to throw in any veggies that are looking a little “sad” in our veggie bin at the end of the week – not moldy, but the ones looking a little to soggy to eat fresh. Very important: 1-2 teaspoons of vinegar. The acid helps to draws the minerals from the bones. You can use any type of vinegar. Optional: fresh herbs and spices. We’ll often throw in a few peppercorns, some fresh rosemary or sage, or other herbs that are floating around. Get creative! Once you’ve tried this a few times you’ll find what you like. Put the bones, veggie scraps, vinegar, and herbs into the stock pot. Cover with filtered water. Bring to a boil and skim any foam off the top. The foam is just any impurities coming out of the bones. Sometimes it’s there, sometimes it isn’t. Reduce the heat on your stove to the lowest possible and gently simmer your broth for at least 8 hours, up to 48 hours. The rule of thumb is the bigger the bones, the longer you need to simmer your broth. Make sure not to cook the broth at too high a temperature! It will denature some of the proteins and create natural MSG. We put the stove at the lowest temperature and just leave it for a couple of days. Strain out the bones and veggies, and either use immediately, or store in a big glass jar in your fridge. It keeps up to a week. So you have a gallon of broth in your fridge. What now? I drink it like I would a cup of tea every evening; sometimes multiple times a day. You can use it as base for soup, stews, pulled meats, or sauces. Use it instead of water for cooking grains such as rice, quinoa, or millet. If you make it gelatinous enough, you can cut it into cubes and eat it cold, like jell-o (fun and super nutritious food for kids!) And I’m sure there are plenty of other uses for it. What are you waiting for? Grab some bones, dust off the big old stock pot, and get cooking! Everything you need to know about the benefits of bone broth by our friends and Oh Lardy! 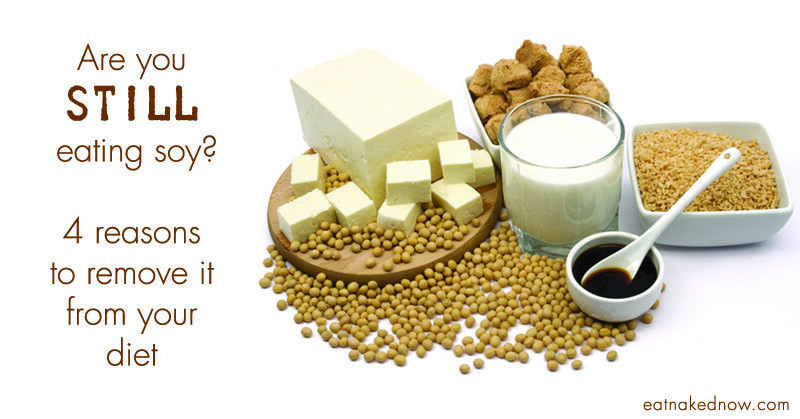 Are you still eating Soy? 4 Reasons to Remove it from your Diet. I just made my first pot of bone broth. I laddled the broth off the top and strained it into mason jars which I let cool on the counter. Then put in the frig. The fat on top was soft and it was not gelatinous. I used beef neck bones and marrow bones and apple cider vinegar. I brought to a boil and simmered 48 hours. What did I do wrong? 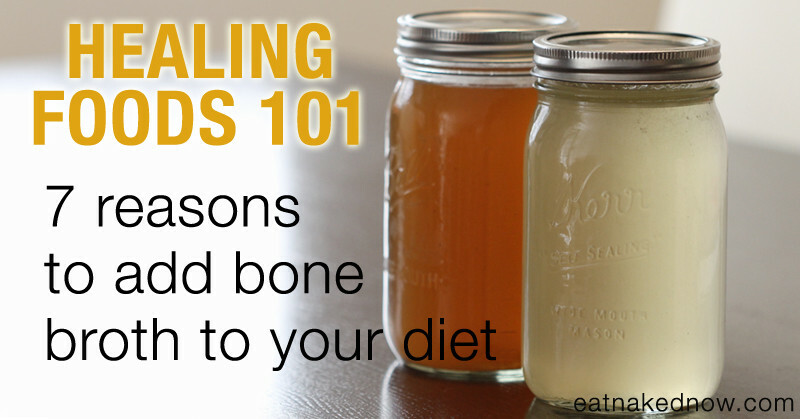 You might try a different mix of bones, and you can try cooking it for a longer time. Sometimes ours isn’t gelatinous either – so we’ve extended the cooking time to 72hrs. I’m curious about the fat being soft, though… what temperature is your fridge? Usually the fat gets quite hard. I’d recommend keeping your fridge at 37 or 38 degrees. It’s perfectly safe to let it cool, uncovered, to room temperature and then refrigerate it. In fact that’s the safest way to cool a food. Thank you for your reply. My frig settings are 1-5 and not degrees but it was set at the highest so I put it on 3. I am going to take your suggestions and try again. I just made bone broth for the second time this past weekend. I got soup bones from my butcher shop (they were actually huge) and I browned them in the oven, then moved them to my 6 court crock pot where I simmered them for 24 hours. I added water twice, as it got about 2 inches from the top. I moved it to a large mixing bowl where it is now sitting with about 1/2 inch of congealed fat. I assume I can scrape that off and use it for cooking, but here is my question: my broth is congealed and gelatinous. Isn’t it supposed to be liquid like in your pictures? Is it too concentrated? If so, how much water can I add to it? Is it just by taste? I am afraid of diluting it too much and losing flavor, but I don’t want to waste all my bones and all the effort I put into it. Thanks. @Tess – you did exactly the right thing and gelatinous congealed broth is AMAZING! It means it’s high in gelatin content, which the ones in these photos are as well, they just look liquid (if you opened the jar and dipped a spoon in, you’d find it’s like jello when it’s cold). Don’t do a thing to it other than heat it up and enjoy. And be proud of yourself for making such great broth! Oh, and yes, the fat on top is great for cooking. Particularly cooking at high temperatures. It’s actually beef tallow. We use it for all sorts of things. Nice job!! Tracy, you can make a veggie stock using egg shells to provide the minerals. It’s not as nutrient-dense by any means, but it’s a step in the right direction! Thank you for the informative article. Can you point me to research supporting the statement that cooking the broth at too high a temperature will denature some of the proteins and create natural MSG? Thank you. I have read many articles stating that healthy bone broth can be made using pressure cookers/canners.